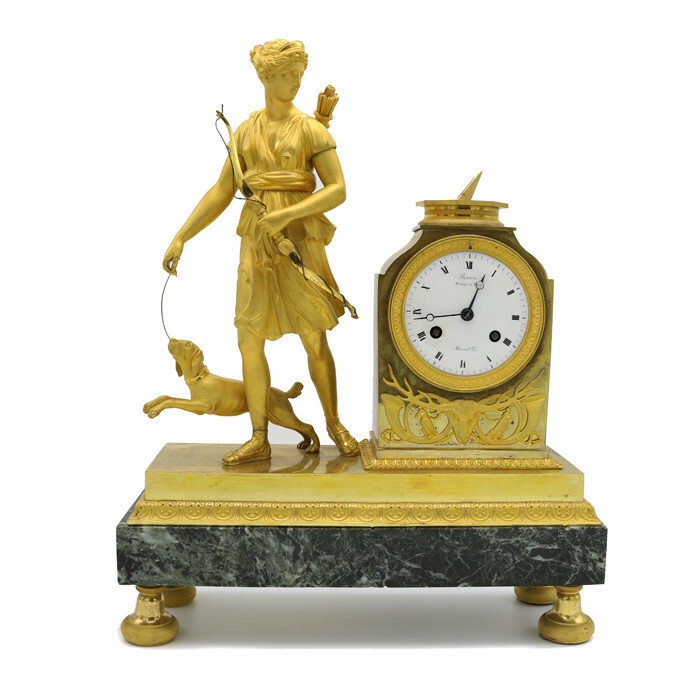 A fine gilt bronze pendulum clock by Antoine André Raviro. Depicting Dianna Goddess of the Hunt. Movement by Mesnil. Gilt bronze and marble.